Welcome to the archives of the Miss Adventuring podcast, an interview program I did in 2008/2009 with people who are living their dreams and creating fabulously misadventurous lifestyles around doing what they love. D. Brent Miller is a master of online storytelling, using travel writing, essays, photography, audio, and slideshows to record his observations on life, travel, and history. He rode on his V-Strom from Ohio to California, and met me in my studio in Point Richmond to talk about the art of storytelling, and to give tips to those of us who want to make a living from our writing, travels, and stories. You can find Brent’s multimedia musings on his website, Sojourn Chronicles. Marisa Lenhardt is a maverick singer and performer based in the Bay Area. Her dramatic coloratura voice soars with ease into the stratosphere above the musical staff one moment, while plummeting to the rich depths of sonority the next. Not one to stay cloistered in the classical world, Marisa has also performed before before 60,000 rabid Raiders fans at the Oakland Coliseum. For an event at San Jose City Hall she rode her motorcycle down the steps and whipped off her helmet before singing. She has performed often at the Burning Man festival in Nevada, enchanting hushed crowds at ceremonial temple burns and also riding a zipline into the rough and tumble Thunderdome to perform her own composition of operatic vocal pyrotechnics. Find out how she balance these activities with a full-time job in high-technology. And visit her Diva Marisa website. 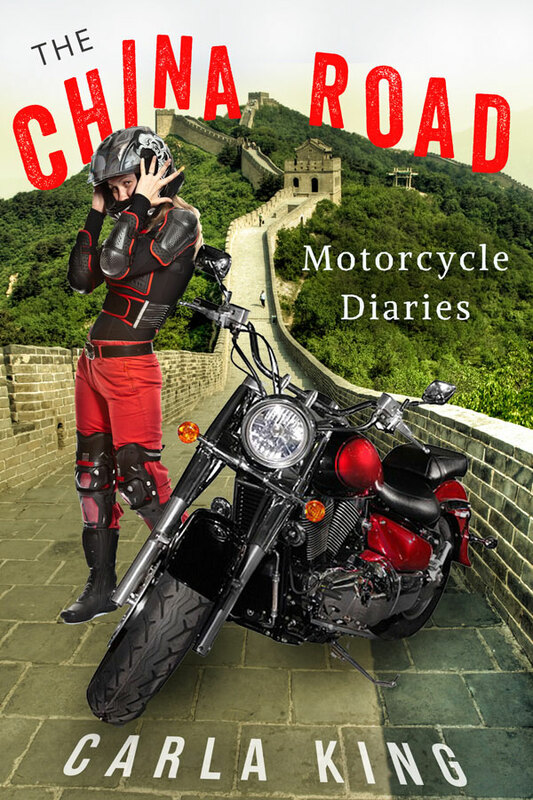 Ted Simon: Around the World on a Motorcycle . . . In 1974 Ted Simon set out on a round-the-word motorcycle journey. His account of the four-year odyssey, Jupiter’s Travels, has long been “the” classic motorcycle travel tale. For me this tales holds an invaluable lesson: “The interruptions are the journey.” Now, at the age of 69, Ted retraces his journey on a two and a half year journey. The delightful Dreaming of Jupiter is the tale of that adventure. Be open to opportunity. Allow life’s (semi-deliberate) accidents determine your path. Use the material from your experiences in a way that transcends the actual experience to develop something more universal.It’s often harder to receive than to give. Remember that people who believe what you are doing is valuable want to help you. We’ll talk with the author of Driving to the End of the World about his solo journey from Tuscon, Arizona through Latin America to Tierra del Fuego; his company, Portable Professional, and his transition from mild-mannered dentist to uber-traveling businessman. Rita Golden Gelman moves through the world without a plan, guided by instinct, connecting through trust, and is constantly watching for serendipitous opportunities. She writes children’s books and has lived comfotably on as little as ten thousand dollars a year in the USA and abroad. The day Lisa Alpine turned 18 she flew to Paris and spent years traveling around the world. She’s waitressed in Switzerland, picked olives in Greece, imported merchandise from South America, and led white water rafting trips, just to name a few. For the past two decades Lisa has worked as a freelance travel writer, editor and book midwife, and a dance workshop leader. When you think of something, see if you can just do it immediately—or at least begin the process—instead of simply writing it down on a list. Don’t listen to negative voices. Surround yourself with positive, supportive people. Unplug – from the media Trust your intuition and instincts. Consider traveling alone. Experience the “unknown zone.” Find out who you are.